Poverty is a problem that all seven continents on this Earth face. Though the poor people in America are living a posh existence compared to the poor people in other countries, poverty and homelessness still affect a large population of our country. There are hundreds of charity organizations throughout the United States that do everything they can to assist struggling individuals and families, but some of them stand ahead of the rest of the pack. Check out five of the most shining examples of awesomeness, and learn a little about some of the charities that have contributed the most to our people. Buying a home in 2017 is a very difficult process for those who struggle financially. Purchasing a home is expensive, and a lot of citizens simply do not have the funding to do so. One of the most tragic happenings in our country’s homeless community is the sheer volume of military veterans. Building Homes For Heroes acknowledges this specialize population, and pulls them off of the streets one home at a time. Founded in 2006, this charitable organization builds homes specifically for wounded veterans of the Iraq and Afghanistan wars. The Fuller Center For Housing builds homes for all sorts of people all over the world. Though they are anchored in the U.S., Fuller Center does branch out occasionally. 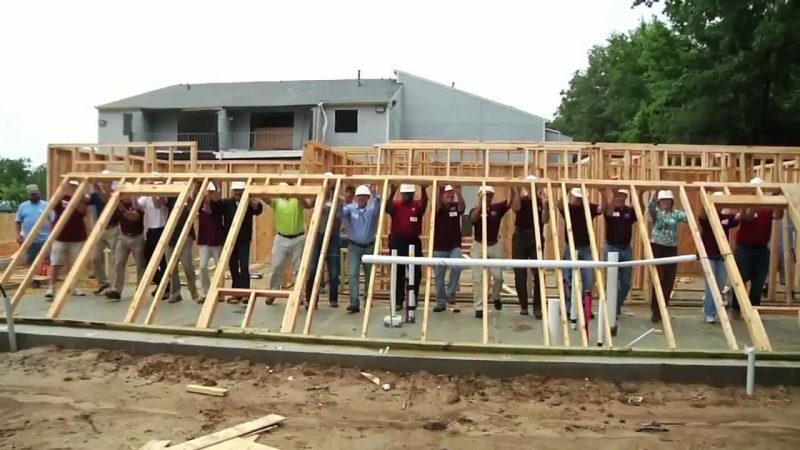 In this organization, homeowners work with construction volunteers to build their new homes. They are charged for materials, but no interest or profit is paid on the homes. Payments are made in the manner the homeowner can afford. One of the most well-known home-building organizations in the nation, Habitat For Humanity builds homes for all sorts of people. It is a christian based organization that aims to spread the love of their God to all walks of life. Homeowners who receive a Habitat For Humanity home work alongside the volunteers who build the home. Contrary to popular belief, those who receive a Habitat home do have to pay a mortgage. The program is aimed towards giving people their own leg to stand on and boosting self worth. Another organization focused upon aiding post-9/11 wounded veterans is the Home For Our Troops charity. They build homes for veterans who have suffered extensive, life-altering injuries while serving in the nation’s most recent war. The Make It Right Foundation belongs to movie star, Brad Pitt. Founded in 2007, this charitable organization builds eco-friendly homes to the highest quality. Based on the belief that every person has the right to a high-quality, healthy home that also enhances the surrounding natural environment, the Make It Right Foundation has built homes for families in Louisiana’s 9th ward and Montana’s most impoverished Native American reservations.